Aset Magomadova, accused of strangling her teenage daughter, is too ill to face a second trial. CALGARY -- A mother accused of strangling her teenage daughter wept Friday when a judge ruled the woman is too ill to face a second trial. Aset Magomadova, 43, was wheeled into a Calgary courtroom on a gurney. She has been diagnosed with an "aggressive" type of cervical cancer. "The accused will never be cured of her cancer. Her life expectancy is short," said Court of Queen's Bench Justice Suzanne Bensler. The judge said it is unlikely that Magomadova would be able to sit through a five-week trial. "If the accused is found guilty of second-degree murder, there would be no option but to sentence her to life. I find, given all the circumstances in this case, there are no other remedies available. Accordingly, I will grant the application and enter a stay of proceedings." 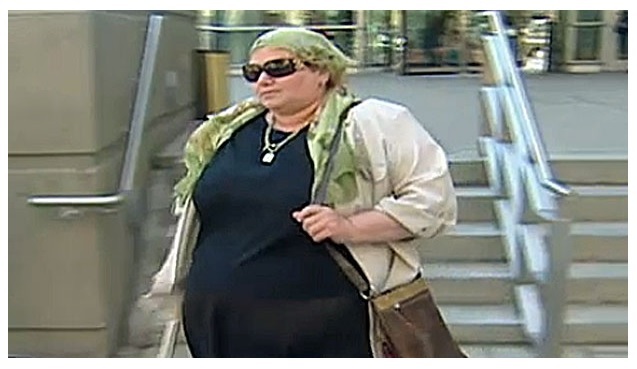 Magomadova was convicted of manslaughter after a trial in 2010 and given a suspended sentence with three years of probation, but the Crown filed a challenge. The Alberta Court of Appeal ruled the trial judge erred by failing to consider Magomadova's intent and ordered a retrial. She was charged with second-degree murder in 2007 after her 14-year-old daughter, Aminat, was choked to death with a scarf. The Chechnyan woman testified she strangled the teen in self-defence after Aminat attacked her with a knife. The family emigrated to Canada in 2003. Court heard that Aminat was having trouble adapting to her new home and had a number of scrapes with the law. Magomadova is receiving treatment, but her oncologist told court the prognosis is dismal and the woman's chance of surviving another five years is "less than one per cent." Her condition has stabilized and the cancer has not progressed since June, but doctors say her care is purely palliative. The Crown intends to study the ruling and may still appeal the judge's decision. "When you're dealing with the death of another individual, it is almost always the Crown's decision to pursue charges vigorously because this is a very serious crime and people should be held accountable for it," said prosecutor Gary Cornfield. Magomadova's lawyer said Bensler came to the only reasonable conclusion. "I think the judge summarized exactly what we had argued about (Magomadova's) deteriorating heath issues -- the fact that she is palliative and (the judge) felt the only option she had was to enter a judicial stay," said Alain Hepner. "I'm pleased for her. I saw her support system all crying. She's crying, but I think she's pleased. Hepner said he understands that some people won't be happy that Magomadova won't be going to trial, but may not be aware of the entire story. "They can be outraged at the result, but (when) they know exactly what happened in this courtroom, they would be more sympathetic and understanding as to the circumstances."